Limit 3 per person, may buy 3 additional as gifts. Limit 1 per order. Valid only for option purchased. Online only. Must use promotional value in 1 order. Ships only to select states. Not valid for shipping to Massachusetts or New York. Must be 21 or older to order & receive wine; 21+ adult signature & I.D. required for delivery. Void where prohibited by law. Cannot be combined with other promotions or Groupons. For 6-bottle option, extra $17.95 fee for shipping. 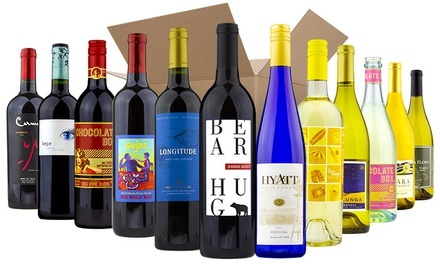 For 12-bottle option, extra $19.95 fee for shipping.